Wade H. McMullen - Mediator based in Fort Worth, Texas. Please click your preferred available date to submit a request. Your Appointment Form will be sent to Wade's assistant, Melissa Vance. Wade McMullen limits his practice to Mediation and Resolution of Civil disputes. After trying lawsuits for the first fifteen years of his career, Wade tumed his focus to exclusively concentrate on Mediation and Resolution of Civil disputes in State and Federal Court for the past seventeen years. In that time he has Mediated over 7500 cases. He offers half day, full day, evening and weekend Mediation dates and frequently travels outside of Forth Worth to conduct Mediations. McMullen has mediated to successful resolution a wide range of disputes (from 2 parties to 120 parties) including personal injury, employment, insurance, business and commercial disputes, oil and gas, professional malpractice, construction, environmental, real estate, condemnation, dramshop, intellectual property, wrongful death, banking and municipal matters. McMullen has served as a Director on the State Board of the Texas Association of Defense Counsel, serving with Lawyers representing each geographic region of the State. He is A V Rated in Martindale Hubbell Law Directory and has been listed in the Martindale Hubbell Bar Register of Preeminent Lawyers. 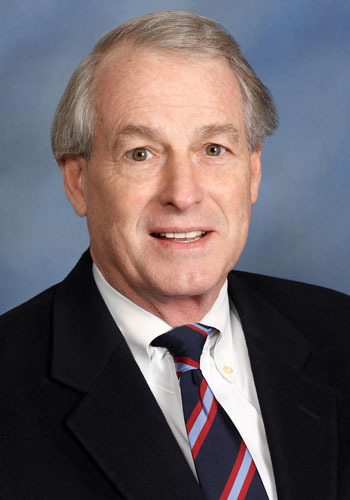 He served as Chairman of the Nominations Committee in Fort Worth and is a Life Member of the Texas Bar Foundation. He served as a Barrister in the Eldon B. Mahon Inn of Court. McMullen is a Charter Member and has served on the Board of the Tarrant County Bar Foundation. He served as Chairman of the Board of the Texas Young Lawyers State Organization and as President of the Tarrant County Bar Association.